Save hundreds with this limited time offer before March 29th 2019. If you have an old version of Cinema 4D from R19 and before, upgrade to Studio R20 for one price across the board! 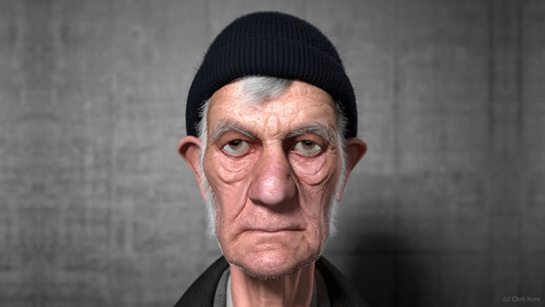 Cinema 4D Studio R20 delivered now via digitial download. 12 months MSA which entitles you to all updates and upgrades as they are released. Premium access to Cineversity.com for one year where you will find thousands of high-quality video tutorials, plug-ins and resources for Cinema 4D. This promotion applies for UK licenses only and will expire on 29th March 2019. The Latest Release of Cinema 4D is Coming, and it’s a Big One. It’s that time again and we’re close to the release of Cinema 4D R20! Maxon, creators of Cinema 4D, promise this will be a huge release with very exciting new features. Make sure you read to the end of this one too – we’ve got a great deal you don’t want to miss. Until August 31st 2018 – Full products, sidegrades and upgrades are discounted by the cost of a Maxon Service Agreement (MSA). Place your order for Cinema 4D R19 now to get the discount, and you’ll be upgraded by your FREE 1 Year MSA to R20 when it releases! Please note that short term licenses do not upgrade to R20 short term. You will be able to upgrade a short term license to the latest version in the usual way when R20 is available. We don’t have a date for you just yet for R20, but check in with our blog, Facebook or Twitter and you’ll be the first to know. Cinema 4D R19 is on it’s way and until the 31st August all new Cinema 4D licences, sidegrades and upgrades will include 1 year MAXON Service Agreement (MSA) at no extra cost. This means you will receive R18 now and R19 as soon as it’s released in September. MSA also includes a full Cineversity membership, priority support and a second activation for your licence. Buy Cinema 4D today or contact us for further information. 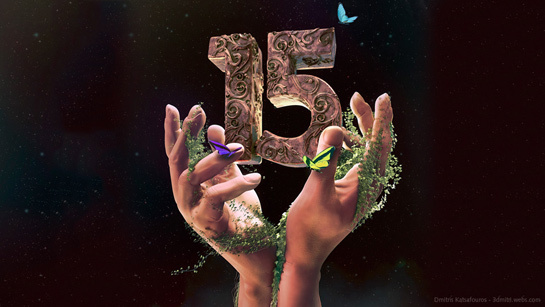 The release of Cinema 4D R15 is imminent so don’t miss out on our summer deal! Buy any version of Cinema 4D today and receive 12 months support and upgrades free of charge. To mark the start of SIGGRAPH 2012 in L.A., MAXON is announcing the immediate availability of the CINEMA 4D R14 demo version. Test incredible new features such as the completely integrated sculpting system, the camera matching functionality and new connectivity to third-party applications. Modeling, animation, rendering and workflow have also been made even better, which lets everyone from motion graphics designers to VFX artists, visualization professionals and more achieve dazzling results even faster and easier than before. The CINEMA 4D R14 demo version can be activated with complete functionality* for 42 days, including the save function. Together with the announcement of CINEMA 4D Release 14, we are offering a great special during the month of August! 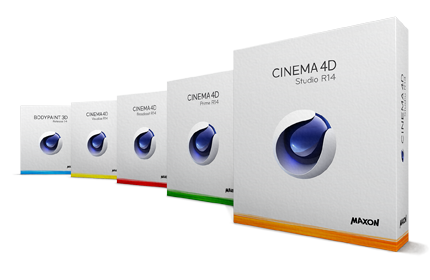 Purchase CINEMA 4D R13 during the month of August (2012) and optionally receive the MAXON Service Agreement (MSA) for one year at no extra cost – which means you will automatically receive the Release 14 update! Upgrade customers in particular will save big because they skip a step in the upgrade path. Also new customers will benefit from the MAXON Service Agreement. They will receive preferential support services and enhanced usage rights. On top of that, the annual MSA fees are much less than the regular upgrade prices. So buy your CINEMA 4D R13 including the one-year MSA during the month of August and your Release 14 will be on its way. The August special is available from MAXON directly or at any certified reseller. *Offer valid for all CINEMA 4D and BodyPaint 3D full versions, upgrades and competitive sidegrades. Not valid for student, teacher or educational versions. For the August special, the software license price will be reduced in the value of an annual MSA fee. The MSA contract will be billed separately from the license price in September 2012. With the MAXON Service Agreement, customers receive the newest software version, preferential support services and enhanced usage rights for a fixed annual fee. If the contract is not terminated at least three months prior to its expiration it will automatically be extended for one additional year. Please contact your local distributor for further information on the MSA. If you’re interested in this offer, go to CAD Software Direct. MAXON unveiled CINEMA 4D Release 14, (R14) a milestone release of the industry-leading 3D motion graphics, visual effects, painting, and rendering software application. Leveraging more than two decades of 3D graphics programming innovation, R14 delivers breakthrough performance offerings including a new, fully integrated sculpting system, new camera matching functionality, the debut of exchange plugins to two key applications — The Foundry NUKE and Adobe Photoshop Extended — and improved integration with Adobe After Effects. Packed with a number of other powerful workflow feature enhancements, creative professionals – motion graphics and visual effects artists, as well as visualization designers – will benefit from features that accelerate productivity to produce spectacular 3D content more fluidly, and the ability to collaborate with increased efficiency. There’s a reason why these terms are included for each Release – and this tradition continues with Release 14! These are the qualities upon which customers have always been able to count and they continue to guarantee the satisfaction of MAXON customers and CINEMA 4D users. Organic modeling is made easy with the fully-integrated Sculpting system in CINEMA 4D Studio Release 14 and BodyPaint 3D. Transform any base mesh into virtual clay, shaping it with tools like pull, pinch, smooth, knife or scrape. Advanced symmetry tools allow you to mirror a single stroke along multiple axes, and even radial fashion. Fine details can be added with stamps and stencils, and you can apply masks to limit the sculpt to specific regions. You can even organize your sculpt project in a hierarchical layer system, and modify mask and strength options for each layer. Finally, directly texture, animate and render your sculpted mesh, or easily bake it into a low-poly mesh with displacement and normal maps. Model faster and more accurately with new interactive workplane modes, dynamic guides and a completely redesigned snapping system. Easily align your workplane to any world axis, the camera or the current selection, then snap to the grid or adjust global coordinates based on the workplane orientation. Draw linear or planar guides directly in the view, or snap to dynamic guides generated around each component. You can also easily select objects or components by simply painting over them with the right-mouse button pressed. Achieve greater rendering realism and compositing control with CINEMA 4D R14. Simulate wood grain, weathering effects and normal mapping with new shaders. Enjoy faster, more accurate GI calculations with Multiple Importance Sampling and radiosity maps. And, you have even more control over your renderings with color grading in the Picture Viewer and as a post effect, and you can optimize your compositing workflow with the position pass. R14 offers amazing enhancements to exchanges with key applications like Adobe Photoshop, Adobe After Effects and Nuke. Now you can manipulate 3D objects, lights and textures directly in Adobe Photoshop. New options have been added for exchanging your 3D scene with After Effects. And, a new seamless connection to NUKE has been added that automatically creates your multi-pass composite, through multi-layer OpenEXR support. Work faster and smarter with numerous enhancements to the workflow and interface in CINEMA 4D R14. You’ll enjoy the more attractive and responsive 3D view with new object highlighting and outlining, and improved OpenGL shadows. Easily access commands and add tags using the new spotlight-style Commander. New composition helpers have been added to arrange your scene based on grids or golden spirals, and you can easily choose the focal distance with the new camera focus picker. Arabic speakers will especially enjoy the CINEMA 4D interface in their native language including a specially-designed right-to-left layout mode. To see more information or if you’re interested in buying one of the C4D R13 Products go to CAD Software Direct.